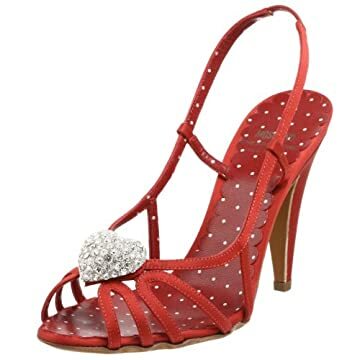 Get set to flirt in this lovely sandal from Moschino Cheap And Chic. Its red-hot palette, delicately curving straps--in pretty, shiny satin--and rhinestoned heart accent could mean nothing else. Dust bag included. Free shipping in the USA.